What is the Empowered Marketer? 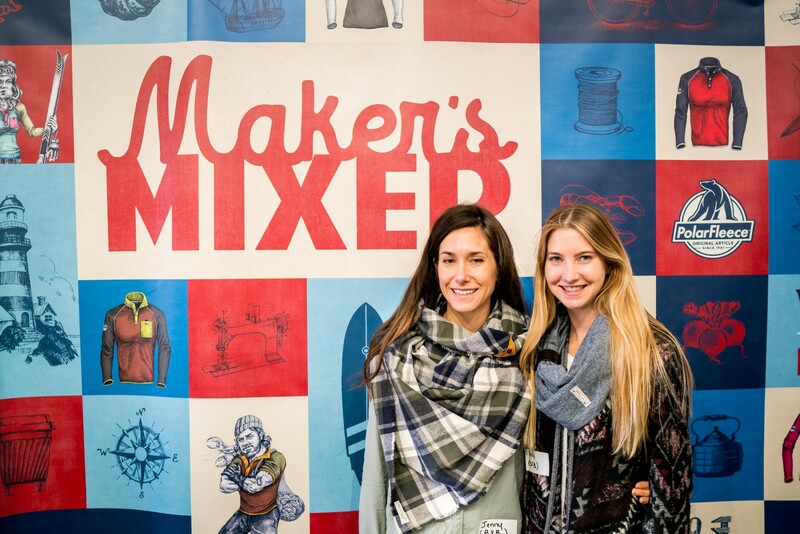 Last week, The Empowered Marketer went to a very special event: the Maker’s Mixer in Portsmouth, New Hampshire. Unlike big ecommerce events we’ve attended in the past, this was a smaller, more intimate event with some really exciting brands all based in the New England area. In this special episode, we talk to the owners and marketers at niche brands that grew from their basements and backyards into full-fledged businesses. This is the dream for some many entrepreneurs and is something only a few people truly achieve. I talked to leaders from four very different brands, but they all had something in common. They were not just passionate about their brands — they live and breathe it every day. And all of them are absolutely dedicated to offering something unique their buyers love. Jenny Buxton is the poster child for successful small brands. She is the owner of BXB by Jenny Buxton and started out 5 years ago making scarves and accessories out of their house. Today, it’s a full-fledged business with products sold in retail locations across the country and online — all while staying true to its local roots. The Empowered Marketer: How did you make the transition from an in-home business to a full-time business? How did you build your brand? Jenny: Our business started out of our barn, then people requested we sell online, so we just started an Etsy shop, which turned into an online website. Now we do trade shows and we’ve just networked with people, which brought us here really. Right now we’re just striving to keep up with demand. We are in the heat of our season right now, so we’re doing shows, online sales, a lot of social media. I feel like whenever I post something new, the orders pour in for that one specific thing. We meet a lot of people at shows like this for wholesale orders that we have to follow up with afterward and that’s helped us really. We’re across the country in small shops now and that’s just all snowballed from small, local shows like this. We haven’t done a ton of marketing. It’s all baby steps and just organically growing. 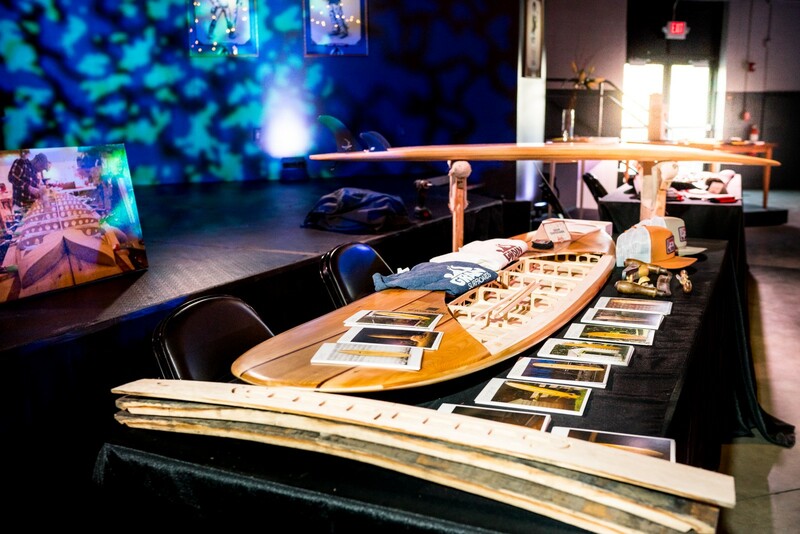 Mike Levecchia is the founder and co-owner of Grain Surfboards, which builds custom wooden surfboards and offers experiences for people to learn how to shape boards themselves. This business model has helped the brand build a strong community of surfers and board shapers who absolutely love the brand. TEM: Why did you decide to offer workshops to help people learn to make boards themselves? You couldn’t have just stuck to selling custom boards, but didn’t. Why? Mike: Since we started, we always enjoyed the idea of getting people working with their hands and getting them involved with the process. We didn’t just want to build boards and sell boards. We love building them and we wanted to share that with people, so we do that on lots of different levels. If you want to build something at home, we offer kits and plans and tools and resources so that you can just do it all yourself. We’ll give you the designs or we’ll sell you any of the parts that you want. For people that are a little more intimidated, we offer workshops so people can join us in our shop in Maine or we offer classes on the road. Generally, those are four-day classes or seven-day classes. You pick the board model you want to build and show up and we have everything there — all the tools and materials. We walk you through the process. You’re building it 100%, but we’re there to help you along the way. Craft breweries are booming, and no one knows that better than Brewer and Owner of Tributary Brewing, Tod Mott. He and his wife started the brewery in 2014, and it has quickly become one of the most buzzed-about breweries in New England. 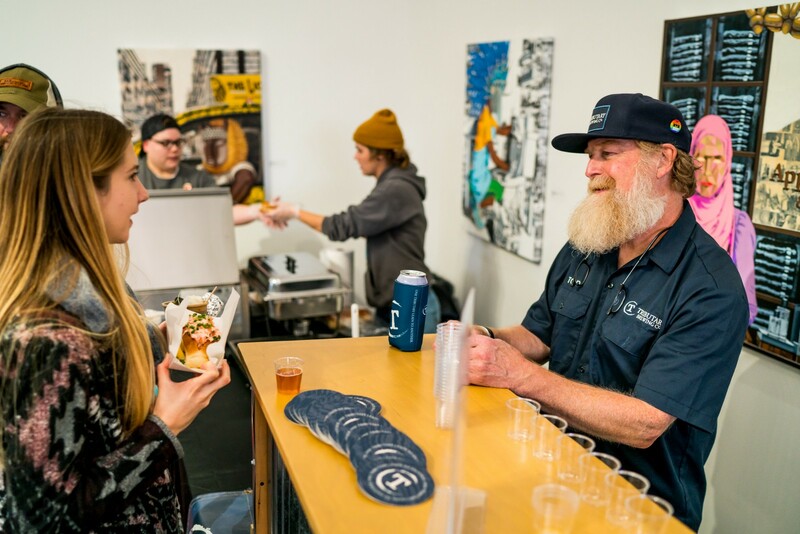 He explained that the craft beer industry is booming, and it’s an exciting time to be creating new beers. TEM: You created some of the most famous beers in New England, including the Harpoon IPA. Now that you’ve started your own brewery, how did you go about building that audience from the ground up, starting from nothing and just saying here’s our beer? Tod: I’ve been in the industry since 1991, so I’ve seen it ebb and flow. We are at this amazing point in the industry where we’re starting to wonder about how sustainable is it. Are we going to continue to move forward at the pace we’ve done? What we’re realizing is that the industry is just constantly changing. Everything is changing. How you sell your beer has changed. Before, most people would distribute. Now our business plan was for a tasting room as a retail point. If you sell 60% of your beer as retail, you’re going to make it, period. That’s all there is to it. It wasn’t our intention, it just happened to work that way for us. The luckiest thing was that I’d been in the industry for a while and people were anticipating Tributary opening up. Fortunately, we had that base, but we had to come out of the door with a great beer. I decided instead of coming out with an IPA, I wanted a beer that I could drink all day long, wouldn’t slow me down, and wouldn’t overburden my palette. We came up with the pale ale recipe and it’s been our flagship since day one. People around the state have said that they respect it because it is a unique beer, and it’s not an IPA. 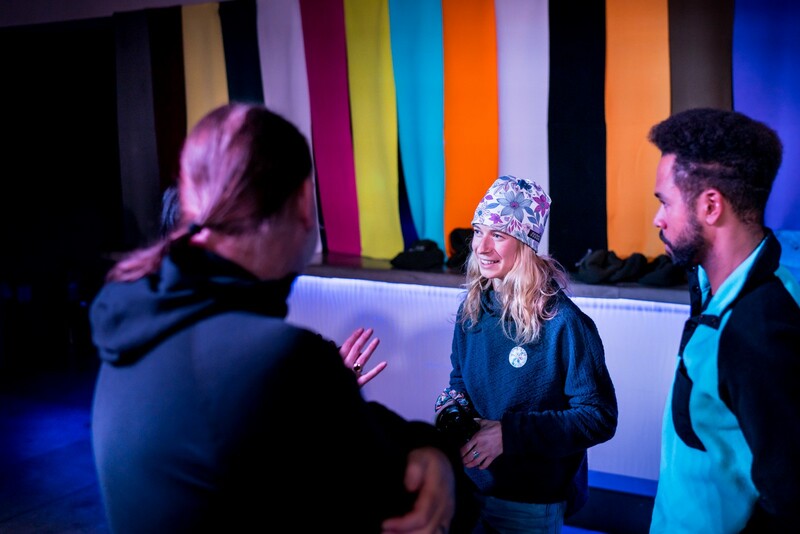 Corinne Prevo is the Owner and Founder of Skida Headwear. She founded the Vermont-based company back in 2008 from the back of her college classroom, and slowly grew the cozy line of ski-inspired headwear and accessories through organic growth and a dedication to social media. TEM: How did you start building this business from scratch and building up an audience? How did you find the right people and connect with them? Corinne: We started making hats 10 years ago. I was a Nordic skier in high school and raced at a ski academy. We were at a Nordic ski race in Maine and some other skiers came up and they were like, “Hey do you think we could buy some hats?” I was like, “Sure.” We started a trend in the middle of nowhere Maine. I came to the next race with their hats and some extras. Then I made a blog and I started posting pictures of fabrics that we got in and patterns. You could comment in the blog what you wanted and then your email address probably, then you’d order it via email. I’d make it and mail it to you after you sent me a check. That was before ecommerce. I was in college at Middlebury and in the last row of my geography class, I built our first website. It’s been friends and the people that have been wearing the brand who just appreciate the quality product. There’s so much organic word of mouth that contributes to our growth. It’s so cool, because there’s no metric for that. 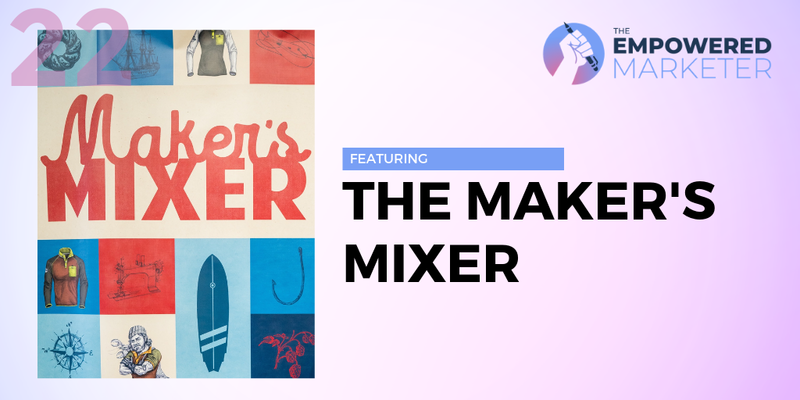 A big thanks to PolarFleece for the invite to the Maker’s Mixer! Host of The Empowered Marketer and Marketing Unboxed. Content marketer @GetZaius. Grammar enthusiast, rock climber, and surfer. For marketers, by marketers — the Empowered Marketer explores real-world tactics and techniques to grow your B2C business.